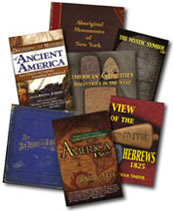 New books added and continue to be added to the Ancient American Book Store. Check back frequently. Some our our books (including the THIS LAND series) are available as eBooks in ePub and Kindle formats to be viewed on mobile devices and tablets such as smart phones, tablets and eReaders. Look for these titles from us at the Amazon Kindle store, Apple's iBookstore and other leading distributers of eBooks. *Books available as eBook (ePub) at Apple iBookstore, Nook, Kobo, Google Play Books and in Kindle format at Amazon. Who were the surprisingly sophisticated miners of prehistoric Michigan? Softcover, 189 pgs. Most histories of the Cherokee nation focus on its encounters with Europeans, its conflicts with the U. S. government, and its expulsion from its lands during the Trail of Tears. 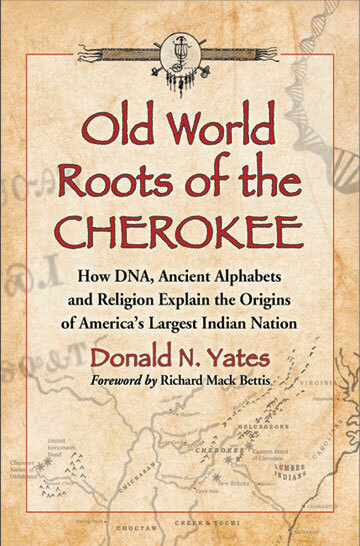 This work, however, traces the origins of the Cherokee people to the third century B.C.E. and follows their migrations through the Americas to their homeland in the lower Appalachian Mountains. Using a combination of DNA analysis, historical research, and classical philology, it uncovers the Jewish and Eastern Mediterranean ancestry of the Cherokee and reveals that they originally spoke Greek before adopting the Iroquoian language of their Haudenosaunee allies while the two nations dwelt together in the Ohio Valley. Donald N. Yates is an American genealogist, author, and principal investigator at DNA Consultants. He holds a Ph.D. in classical studies from the University of North Carolina at Chapel Hill and has published popular and scholarly works in cultural and ethnic studies, history, and population genetics. Softcover, 7X10, 207 pages, photos, apendices, notes, bibliography, & index. In late June of 1829, Joseph Smith Jr. allowed eight witnesses to hold the sacred record and turn its pages to examine its characters. 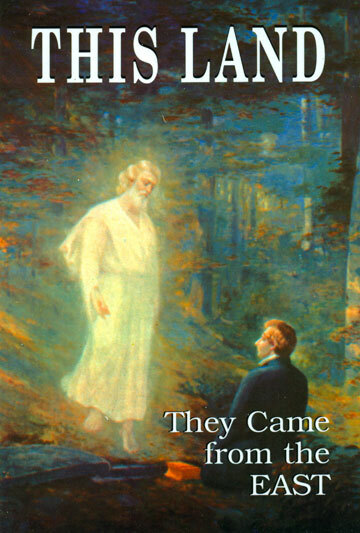 Be it known unto all nations, kindreds, tongues, and people, unto whom this work shall come: That Joseph Smith, Jun., the translator of this work, has shewn unto us the plates of which hath been spoken, which have the appearance of gold; and as many of the leaves as the said Smith has translated we did handle with our hands; and we also saw the engravings thereon, all of which has the appearance of ancient work, and of curious workmanship. And this we bear record with words of soberness, that the said Smith has shewn unto us, for we have seen and hefted, and know of a surety that the said Smith has got the plates of which we have spoken. And we give our names unto the world, to witness unto the world that which we have seen. And we lie not, God bearing witness of it. Hiram Page, Joseph Smith, Sr., Hyrum Smith, and Samuel Harrison Smith. Softcover, 6X9, 192 pages, photos, some color. Ssoftcover, 6x9, 271 pages, generously illustrated. 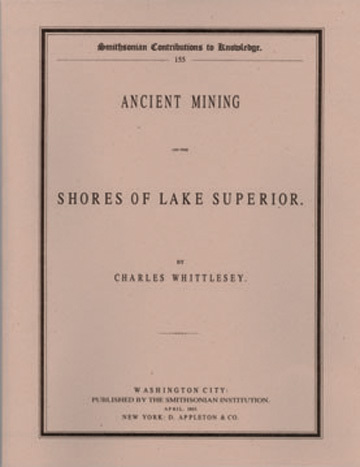 Published April 1863, 30 page reprint from the Smithsonian Institution; this booklet one of the best early sources for the ancient copper mining activities of Upper Michigan. 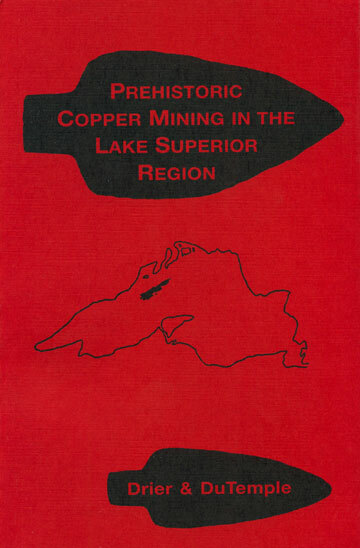 Booklet is fully illustrated with examples of miners copper, stone and wood tools plus map of the Keweenaw Peninsula showing ancient mine locations. Booklet, orig. rel. in 1863, 30 pgs. The latest treasure from maverick scholar, Gunnar Thompson, is a feast of intellectual surprises and family entertainment. 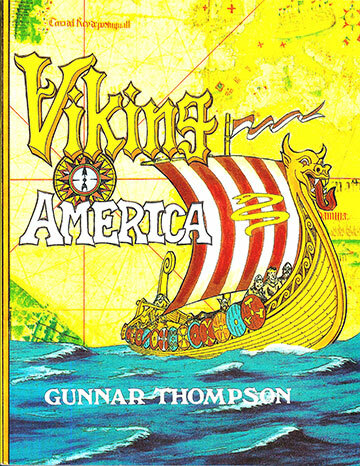 Viking America offers up a smorgasbord for those who are curious about the true story of America's multicultural heritage. This remarkable book is a festival filled with humorous episodes, desperate gambles, and inspiring human achievements. Viking America begins with the roles of women weavers who recorded details concerning New World trade in their ancient tapestries. A Norse-French tapestry from Bayeux, Normandy, includes scenes of New World turkeys and labor gangs digging earthworks. The author includes New World turkeys along with furs, lumber, codfish, tin, and maize that were imported into Northern Europe. 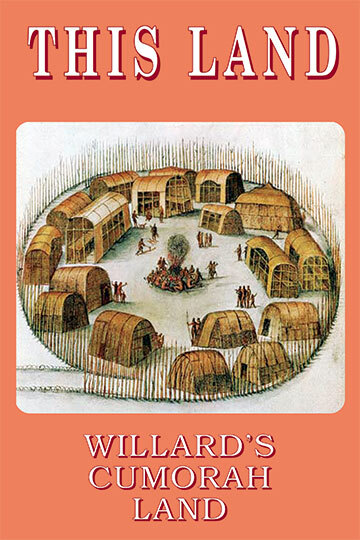 Welsh traditions of building hilltop forts, earthworks, walled roadways, and circular corrals reappeared across the landscape of Ancient America as the Old World settlers built hilltop cities along the Ohio River Valley. Welsh-Indian residents in these forts numbered in the tens of thousands. As late as the 18th century, their descendants were known as the "Welsh-speaking Indians." 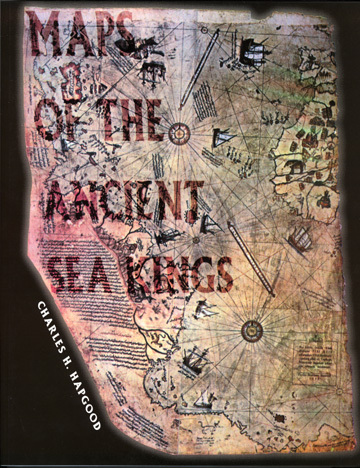 Softcover, 8.5x11, 335 pages, illustrated with maps, artifacts, earthworks, ships, plants, etc. 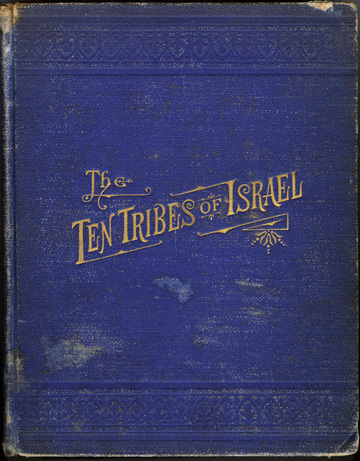 This rare reprint of one of the lost books of the bible was originally published in 1821, and has been out of print for nearly 100 years. It contains original biblical material censored by the Councils of Nicea and Trent, when the molders of Christianity decided which ideas should or should not be included in the “official” Old and New Testaments. 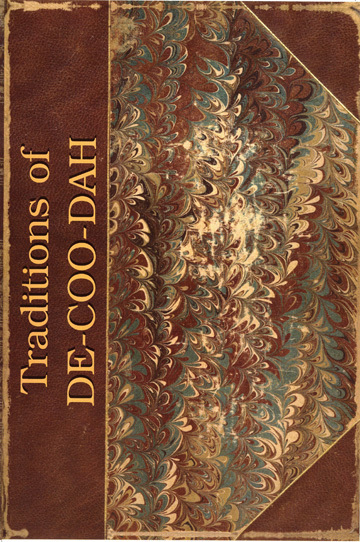 Like the Dead Sea Scrolls, this controversial book was translated from the original Coptic Egyptian script, and was no less suppressed by the early church fathers, probably because of its obvious indebtedness to ancient Egyptian myth. 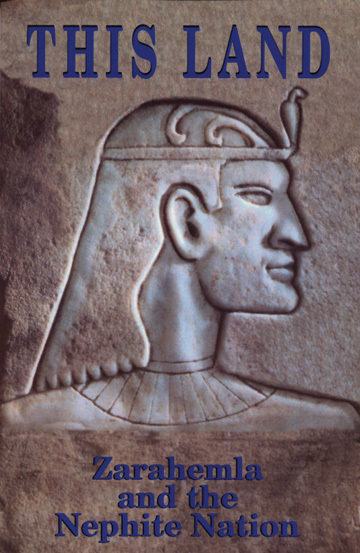 Enoch, for example, is equivalent to the Egyptian god of civilization, Thoth. 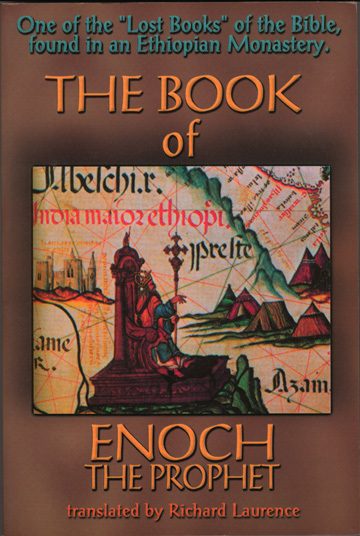 Reading The Book of Enoch puts the bible in an entirely new light. Softcover, illustrated, orig. 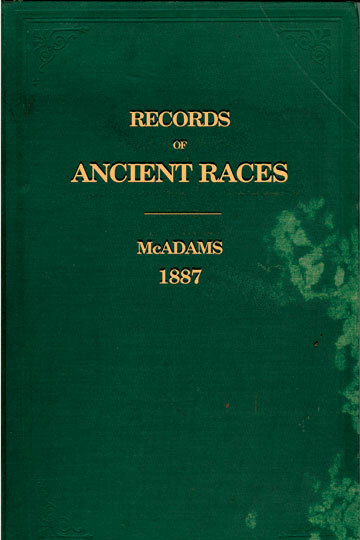 released in 1883., 189 pgs. 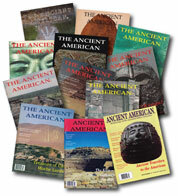 Collection of best articles selected from 12 years of Ancient American issues, with Zechariah Sitchin, etc. 287 pgs. 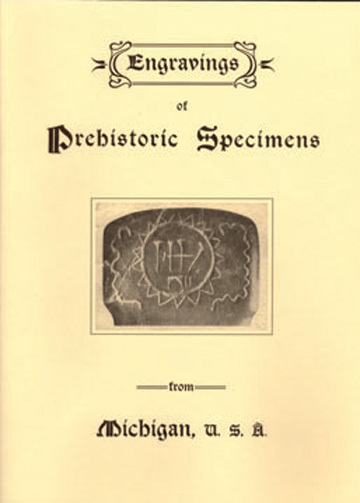 Oringinally published 1910, 41 page reprint; the first released publication showing the controversial Michigan Tablets (Soper/Savge plates). Full 8x10 photos of clay, copper and stone tablets. Booklet, 8 1/2 x 11, illustrated, 42 pgs. Notwithstanding all this labor and study, the great questions continually repeated, which were suggested when our antiquities were first noticed, still remain unanswered; namely: Who were the authors of these works? What was their origin, and what were the causes of their disappearance? Were they the red men found in possession of the continent at the time of its discovery? I am not aware that the opinion that the red men were the authors of the most extensive works, though maintained by some scholars of high repute, is held by any who have given them personal and thorough examination. The earlier travellers who stumbled upon them in the wilderness, or on the prairie, express their astonishment at their magnitude and the skill displayed in their erection. 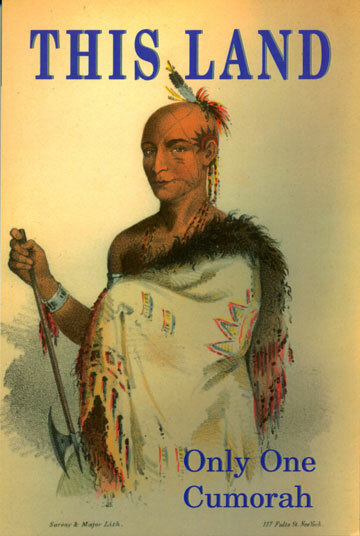 Captain Carver, in the account of his travels in the years 1766-'7-'8, describes what he was convinced was a military work, which he accidentally discovered upon the bank of Lake Pepin. 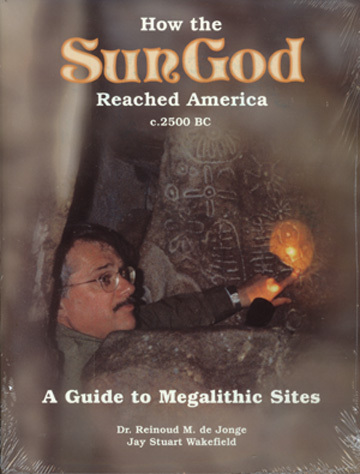 This was long ﻿before it was known that America had any antiquities. Concerning it he says that "its form was somewhat circular, and its flanks reached the river. Though much defaced by time, every angle was distinguishable, and appeared as regular and fashioned with as much military skill as if planned by Vauban himself." Again: "I was able to draw certain conclusions of its great antiquity." "How a work of this kind could exist in a country that has hitherto been the seat of war to untutored Indians alone, whose whole stock of military knowledge has only, till within two centuries, amounted to drawing the bow, and whose only breastwork, even at present, is the thicket, I know not." Softcover, illustrated, 122 pgs. 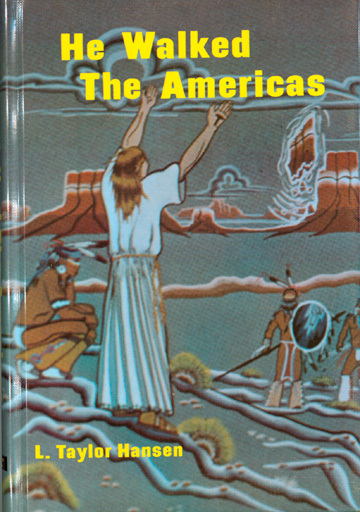 An anthology of Native American myths and legends describing a Christ-like figure who brought healing and spiritual arts to the ancestors of all Indian tribes. These are true Indian legends, gathered during twenty-five years of research by archaeologist, L. Taylor Hansen, an outstanding diffusionist researcher, from numerous tribes. Hardcover, illustrated, 304 pgs. 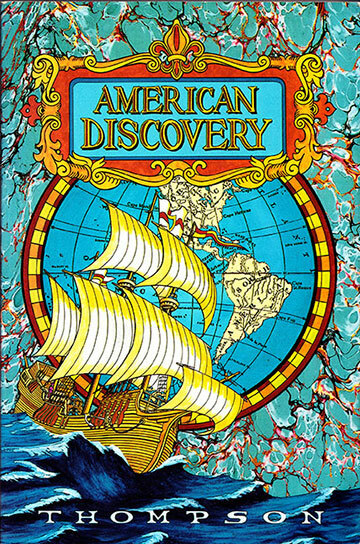 ﻿American Discovery: The Real Story, 2nd Ed. BACK BY POPULAR DEMAND - OUT OF PRINT FOR AROUND 10 YEARS!!! The DEFINITIVE Diffusionist's Handbook. All NEW 2nd Edition. 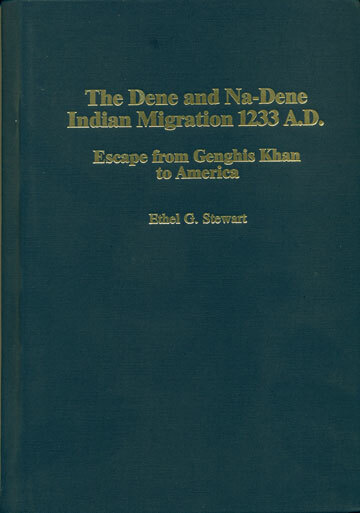 This book is an encyclopedia of the first explorers from Siberia during the last Ice Age and all the subsequent, countless voyagers from Asia, Africa, and Europe who journeyed to America. Among their ranks were Sumerians, Celts, Phoenicians, West Africans, Norwegians, Egyptians, Polynesians, Chinese, Japanese, Romans, Greeks, Arabs, Hindus, and many others. Read about them all in this newly revised, up-dated edition, the single most valuable volume in any diffusionist's library. numerous illustrations. 396 pgs. 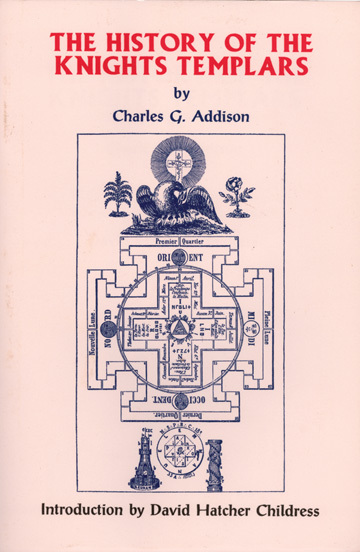 Charles Addison’s 1842 classic is the most thorough, concise description of the Knights Templar ever written. Available again after a more than 50-year hiatus, it tells how the knights really began, why they achieved unprecedented wealth and power, and what led to their cruel downfall. A new Introduction by publisher David Hatcher Childress brings readers up to date on the fate of the Templars, who appear to have arrived with their fabulous treasure in North America long before Columbus left Spain. Softcover, illustrated, orig. rel. in 1842, 396 pgs. This book is based on the decipherment of rock art found at megalithic sites across Western Europe. Dr. de Jonge and co-author Wakefield provide dozens of photos and illustrations of megalithic sites on both sides of the Atlantic to demonstrate their case for Neolithic contacts between both continents. Their striking hypothesis seems amply backed by an abundance of fascinating source materials.Softcover, 8 1/2 x 11, illustrated, 300 pgs. How often does one find a book which combines history, anthropology, geology, mystery, modern analytical method, and human emotion in a manner worth of the best fiction? 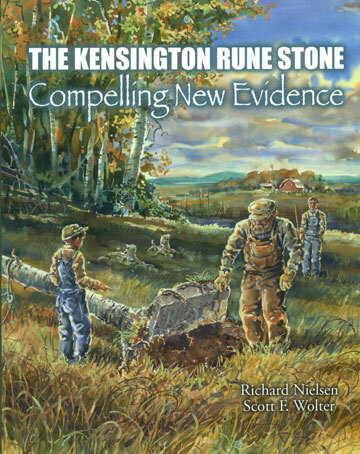 Let there be no mistake, this excellent publication presents a fascinating and compelling account of a Rune stone found in a rural area of Minnesota in 1898. The stone is believed by many to be a record from 1362 left by a Norse expedition, and this account presents every credible evidence supporting this belief. The stone record was left by visitors to Minnesota three centuries before other Europeans began to settle this continent. Read this account and enjoy the mystery, the investigation, and the revelation. You will not be disappointed. Softcover, 11x12, generously illustrated, 574 pgs. Ancient American editor tells all about Illinois’ infamous cave filled with gold artifacts from Roman-era North Africa. More than 100 photos of the evidence. Softcover, illustrated, 224 pgs. The eastern shores of South America and Antarctica beneath its ice cap were accurately mapped more than 3,000 years ago by an unknown civilization. The full story of the Piri Re-is Map. Softcover, illustrated, orig. rel. in 1947, 316 pgs. 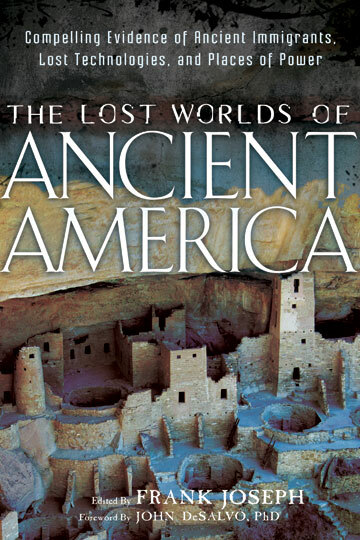 An account of the Archaeology of North America and its ancient visitors. Emphasis is placed upon the waterways of the Great Lakes and the people who have labored tirelessly to preserve every piece of evidence supporting contact with the Eastern Hemisphere. There have been successes but, unfortunately, many artifacts and pristine sites have been lost to the settlement of the American frontier in all regions of the country. The Upper Peninsula of Michigan has been heavily trodden by the development of our European ancestors, yet there is much that has been passed over. 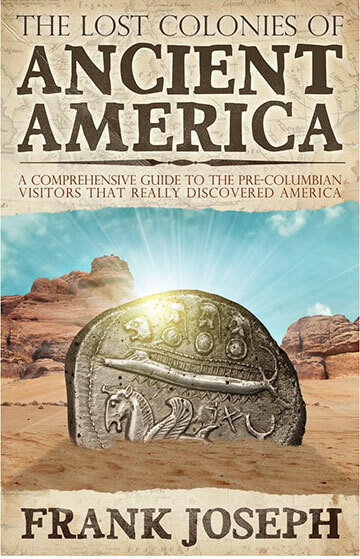 Fred Rydholm is one of these people who have labored with great passion to discover, preserve and verify the ancient history of North America's Pre-Columbian visitors. Hardcover, illustrated, 555 pgs. Expanded edition of the original classic, long out-of-print, describing thousands of Christian, inscribed tablets, unearthed across Michigan. Softcover, 275 pgs. 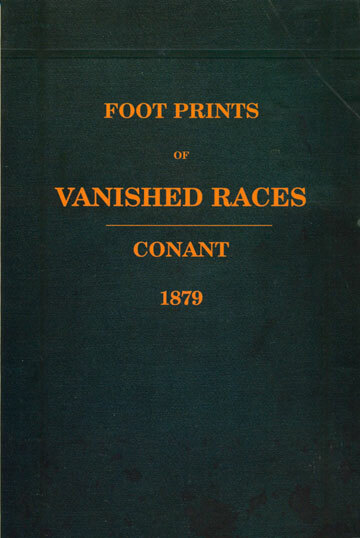 A reprint from 1873. 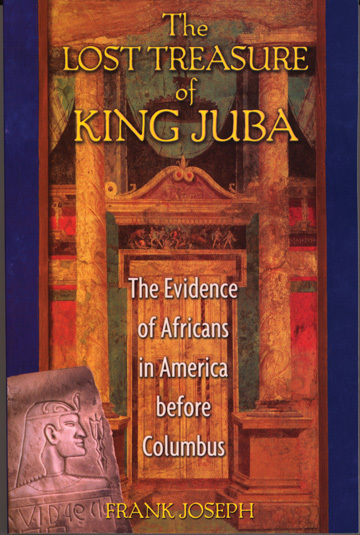 Early Antiquarian/Archaeology of the Mound Builders focusing around the Mississippi River. Softcover, illustrated, 415 pgs. Readers get more than their money's worth in this 8-by-10-inch, full color, 300+ page tome brimming with hundreds of photographs and illustrations. 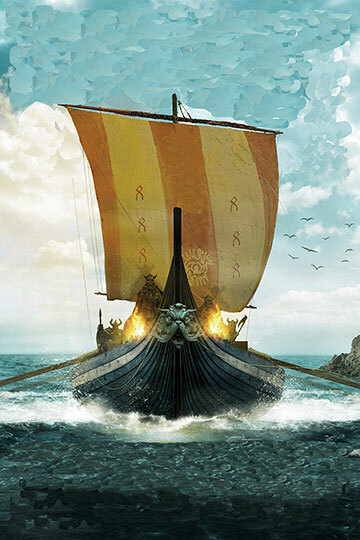 On a scale to match, its time parameters range from Brittany's Cairn of Barnenez in 4800 BC to the fifteen hundred year-old "sun-ship" monument of Ales Stenar, in Sweden. The former will be of particular interest to cultural diffusionists, because this little known structure is a megalithic step-pyramid on the French coast. Authors Jay Stuart Wakefield, a Seattle zoologist, and Reinoud De Jonge, a Dutch chemist, document this singular edifice in powerful imagery and a text that places it squarely within the realm of transatlantic possibilities. 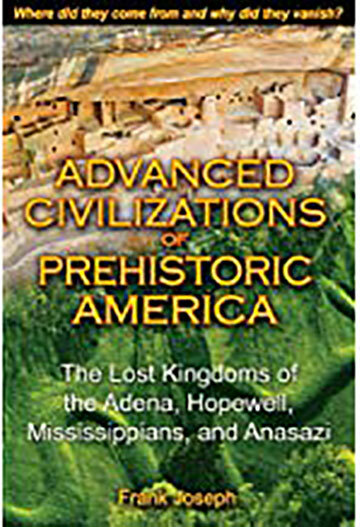 The thrust of their new book shows that connections between the ancient Old World and America did not result from accidental voyages, but were deliberate undertakings for specific goods going back to Neolithic times. 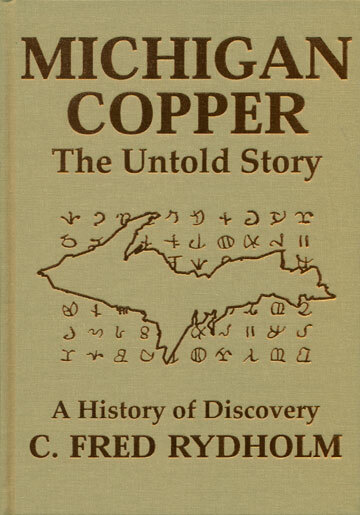 These expeditions were triggered, the authors demonstrate, by the Upper Great Lakes Region's abundance of the world's highest grade copper. It was this incomparable natural resource, they argue, that drew seafaring metal-workers from Western Europe, where the imported copper was combined with tin and zinc for the manufacture of bronze. 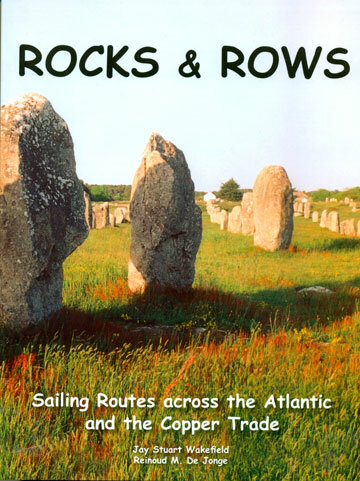 As such, Rocks & Rows will undoubtedly stand the test of time as a font of often difficult to find information and a handbook for anyone interested in the Neolithic and Bronze Age influences at work on our continent. Softcover, numerous illustrations, 300+ pgs. A lifetime work of Indian Nations cultural similarities/symbols showing a Judeo/Christian connection to the Eastern Hemisphere. Softcover, 323 pgs. 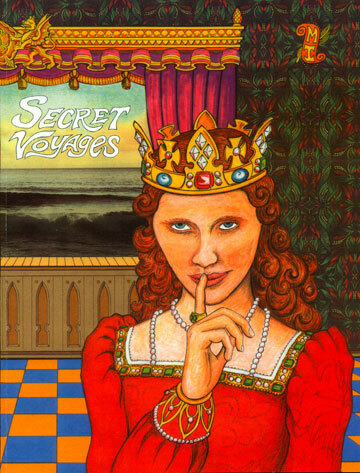 Enjoy New World Adventures of King Solomon, Queen Hatshepsut, King Arthur, Marco Polo, Zheng He, Vespucci, Drake, and many others. Includes maps, ships, etc... Softcover, 8 1/2x11, illustrated, 300 pgs. 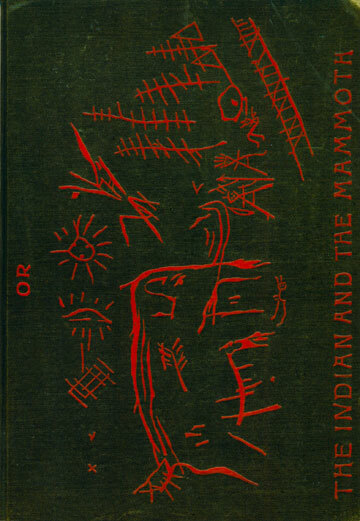 A reprint 1858, Native American reveals his life as an Elder in his tribe. Softcover, illustrated, 332 pgs. 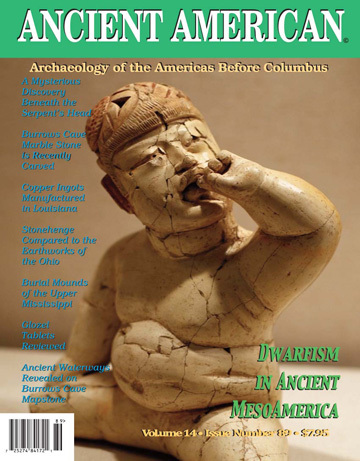 A collection of the best articles from past issues of Ancient American magazine demonstrating impact on our continent from overseas before Columbus. 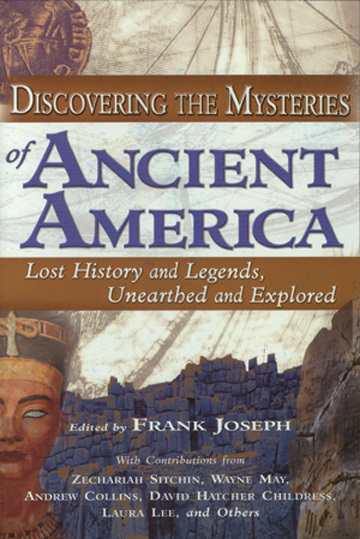 Twenty-two writers show how the prehistory of North America was influenced by visitors from the old worlds of Egypt, India, medieval Europe and Polynesia. These expert researchers tackle a broad variety of archaeological enigmas shunned as too heretical for consideration by conventional scholars. Softcover, illustrated, 287 pgs. 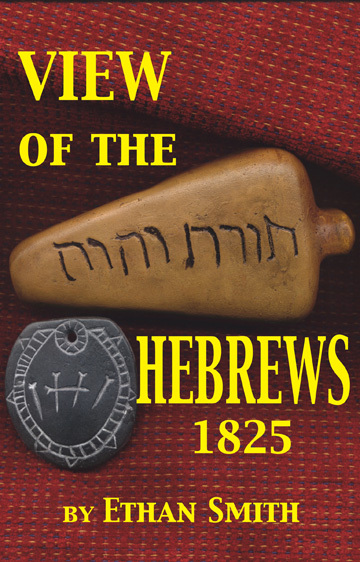 View of the Hebrews was first published in 1825 by Rev. Ethan Smith, a minister in Poultney, Vermont. While spending many hours preaching the Gospel in the New England area he came in contact with several tribes of Native Americans. As a trained student of the ancient world and especially the Old Testament he couldn’t help but notice strong cultural similarities between the native population and his Hebrew education. Softcover, 227 pgs. 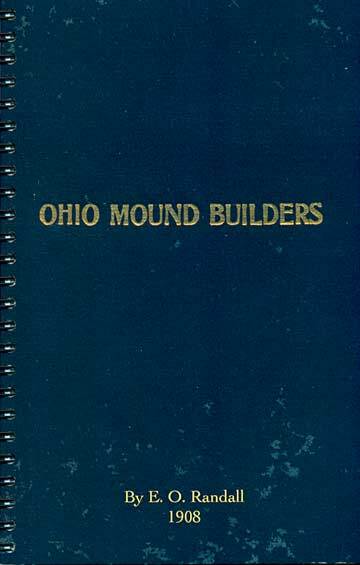 An early study of the Mound Builders; "Being an account of a remarkable people that once inhabited the valleys of the Ohio and Mississippi, together with an investigation in the Archaeology of Butler County, Ohio". Softcover, 233 pgs. 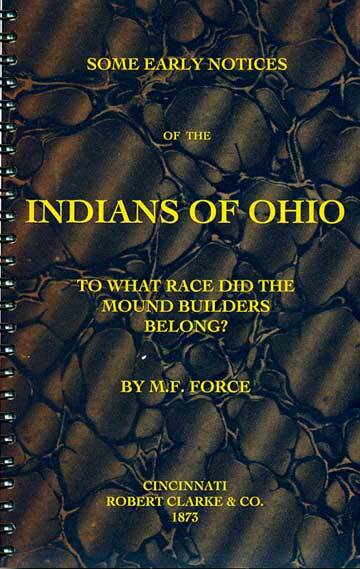 Artifacts, effigies, mounds and tablets of the prehistoric occupants of Ohio. Softcover, 119 pgs. Reprint! Originally published in 1849 by the Smithsonian Institution, oversize edition, 9x12 size, illustrated, prominant earthworks covering western New York. Bonus: Charles Whittlesey's excellent work on the copper mines of Upper Michigan is included as an addendum. Softcover, 240 pgs. The Adena people in ancient days and their assimilation into the historic Native Tribes. Spiralbound, 8 1/2x11, illustrated, 181 pgs. ﻿Ethel Stewart does a credible job of proving that there were trans-Pacific contacts etween Asia and the west cosat of North Amrica in the Thirteenth Century. She also comes up with points of comparison between Dene traditions and Asian roots that are fascinating. The trouble with many scholarly works is that they are boring. Not so in this case! Those who are fascinated with subjects such as those with which she deals may find it to be as much or more of a "page truner" or "all night read" than a really well done mystery thriller. Hardcover, 566 pgs. Earliest evidence for the Adena people in the Ohio territory. Booklet, spiral bound, 8 1/2x11, illustrated, 34 pgs. In the spring of 1872, eight years after the discovery of the famous mammoth carving in the cave of La Madleine, Perigord, France, Barnard Hansell, a young farmer, while ploughing on his father's farm, four miles and a half east of Doylestown, Bucks County, Pennsylvania, saw, to use his own words, a "queer stone." By wetting his thumb and rubbing it he could see strange lines and a carving representing an animal like an elephant, but without troubling his boyish head much about it, he carried it several days in his pocket, and finally locked it up in his chest until the spring of 1881 when it was purchased and eventually viewed by Bucks County Historian Captain J.S. Bailey, who first called serious attention to this find. Softcover, illustrated, 95 pgs. 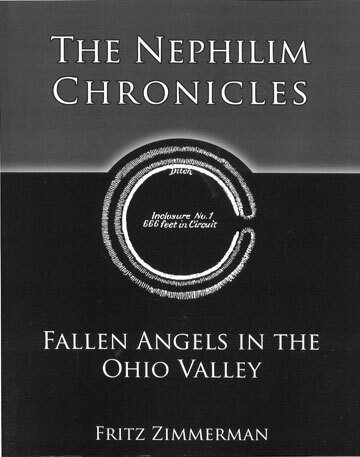 The giant offspring of this union between the sons of God and the daughters of men were called the Nephilim. 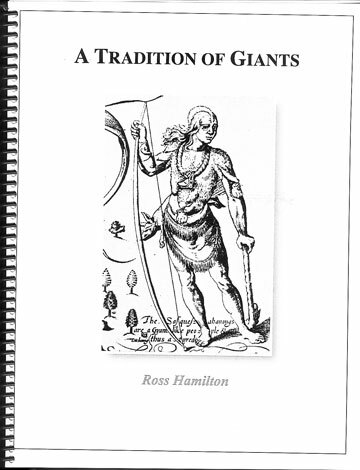 This book takes the leap from mythology to science to discover that the Nephilim were the last vestiges of the Cro-Magnon species; who were known for their gigantic height. Followers of the Sun god, Og and the Earth Mother Havahh, they spread from the Biblical Lands to the British Isles and the Ohio Valley. Their open-air earthen and stone temples and burial mounds, containing the remains of giants have stood the testament of time; leaving an indelible mark upon our soil. 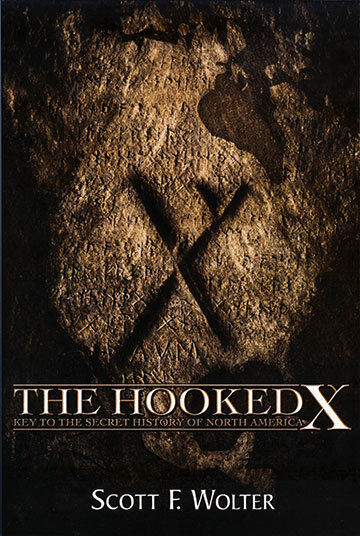 Herein are the historical accounts of over 300 giant skeletons that have been discovered within burial mounds and subsurface tombs; revealing new insights of the peopling of North America. Softcover, 8x10, 348 pgs. 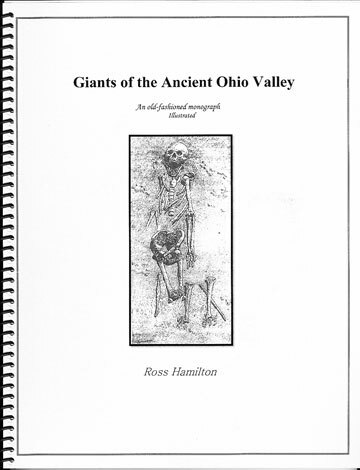 Volume 2 provides the serious reader with exact locations of mounds and earthworks found in the Ohio Valley region. The reader can take a self-guided tour of never-before discovered mounds and earthworks throughout the entire Ohio Valley. For those seeking to honor the burial sites of the ancestors of Native American Indians – Sioux, Cherokee, Allegewi (Hopewell) – or those simply wishing to see for themselves. Includes photographs and geographical markers for ease of location. Softcover, 8x10, 298 pgs. Over the years, the book went through several printings, eventually selling 5000 copies and becoming something of a cult classic. In 2004, an original copy sold on e-Bay for $150. This current printing is a response to all the requests our family has received to re-issue the book. It is an exact duplicate of the original 1961 edition, including typographical errors and original photographs. In the years since this book was published, there has been in the field scientific advances which are not included in this work. Prehistoric Copper Mining in the Lake Superior Region is now available again in its original format. Soft cover, 5x8, illustrated, with 222 pgs. 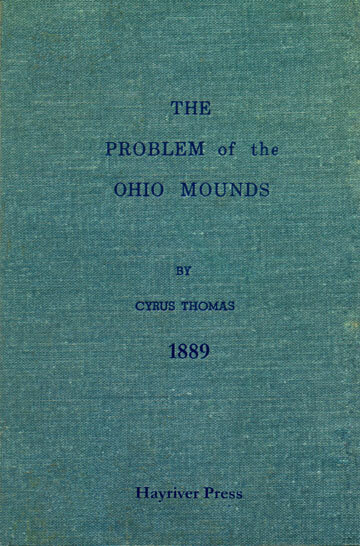 ﻿Cyrus Thomas published this short work to establish his uncertainty about who the Mound Builders were; however, he decides to identifly them with, at least in part, the Five Civilized Nations of the Cherokee. Thomas is puzzled by the Eastern Hemisphere artifacts that continue to be discovered in undisturbed layers deep within the mounds themselves. So, he continues to question the identity of the builders of the mounds. These non-conforming artifacts have been gathered by Thomas, which he admits to having, yet they have never been shown or identified in the museums of today. 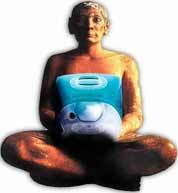 Where is the unusual artifact collection of which Cyrus Thomas speaks? Currently, we do not know. 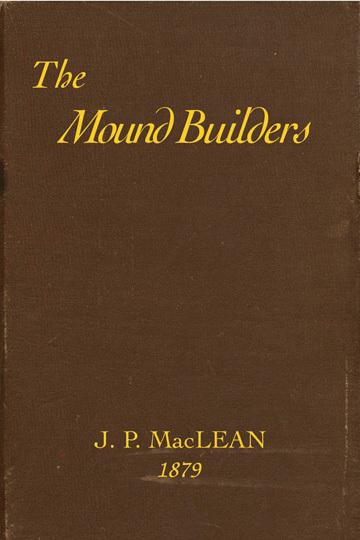 This is a must-have book for all mound builder investigators. Softcover, illustrated, 54 pgs. A comparison of Nephite timeline with North America’s Hopewell culture of 300BC to 400AD. Published March 2002, softcover, over 100 illustrations, 220 pgs. 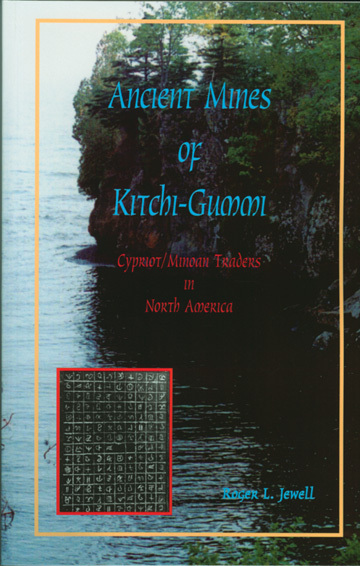 A compilation of articles taken from the pages of Ancient American Magazine by non-LDS authors revealing the archaeological support for the of Nephite timeline and North America’s Hopewell culture of 300BC to 500AD. Published April 2009, Softcover, over 100 illustrations, 263 pgs. 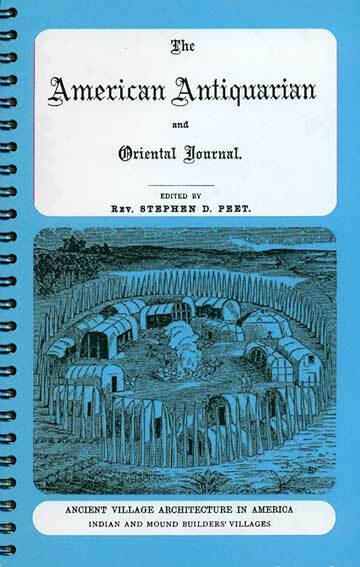 (1883) An examination of Native village structures at the time of European discovery and an explanation of the numerous geometric earthworks left by the Adena and Hopewell Mound Builders across the midwest. Also, not to be left out are the effigy mounds of Wisconsin. Rev. Peet is recognized as a reliable early antiquarian with first hand knowledge of the history of this land. Softcover, spiral bound, illustrated, 31 pgs. Read the latest analysis of professionally-gathered evidence that supports these contentions. See new photos of the remains of the Ark of Noah on a mountain in the region of Ararat (Urartu) in eastern Turkey near the Iranian border. Read of the1997 discovery of Noah’s long-lost city of Mesha-Naxuan, within a mile from the ark-remains, right where Berosus and Moses of Chronensis claimed it was, Mt. Judi. Find out why the Bible stands in complete accord with geological evidence, long regarded by American academics as incompatible. All of this and more on the impossible state religion of evolution in the new 320 page fully illustrated book 20 years in making. Softcover, illustrated, 320 pgs. (1879) The discussion here is that the Native population today are the remnants of the Mound Builders, that this group divided itself into 2 main opposing groups with Illinois and Indiana being swept clean by warfare and the Ohio defending themselves with enclosures until they collapsed or fled southward. Softcover, spiral bound, 76 pgs. 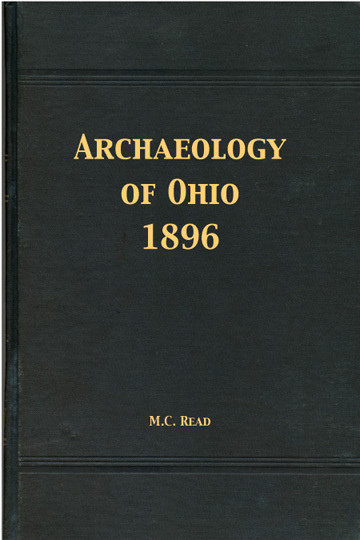 (1908) The purpose of this volume is to report on the Ohio Mound Builders and describe their chief relics as they now appear and as they appeared when found in their original condition. This author has visited all the earthworks described herein, especially “Fort Ancient” so that the descriptions are firt hand, “views taken on the spot.” This work is confined to the hilltop enclosures. Softcover, spiral bound, illustrated, 126 pgs. What did the Maya really predict for 2012? 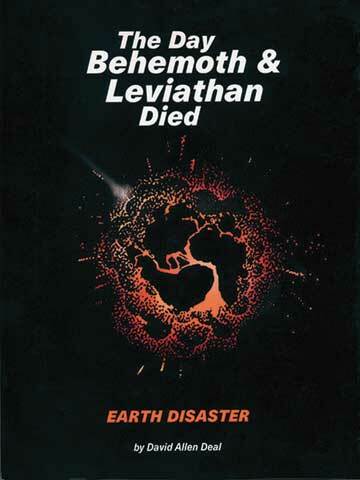 What was the relationship between their sacred calendar and Atlantis or Lemuria? Why did the Norse, Hopi, Hindus, Incas, Chinese and other ancient peoples offer similar predictions? 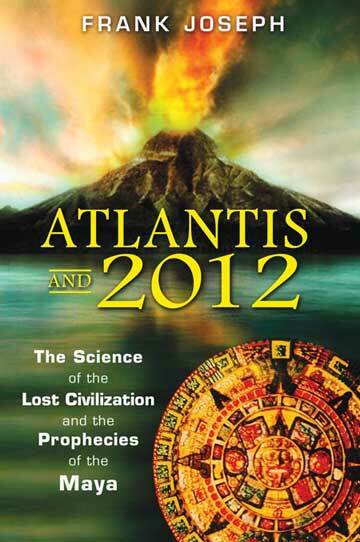 Learn the surprising answers to these and more questions about "Atlantis and 2012." Contains color photo section; 31 original photographs and illustrations. Soft cover, 246 pgs. ﻿A portion of the facts and suggestions embodied in this work were included in a paper read, under the, title of “Ancient Pictographs on the Banks of the Mississippi,” before the American Association for the Advancement of Science, at the Ann Arbor meeting two years ago. The illustrations of the pictographs, being shown on canvas, attracted so much interest that we at once saw that the value of the work when printed would largely depend on the illustrations. 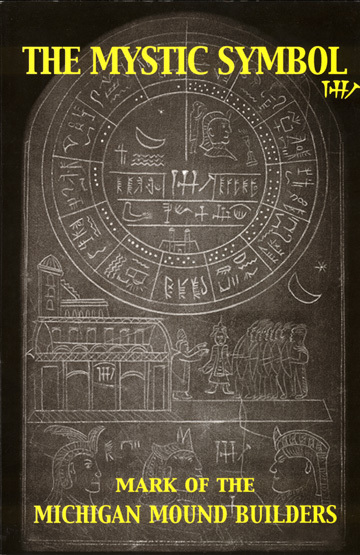 In having these cuts made, and arranging them in the text, the subject seemed to demand a larger and more complete discussion; showing, not only the pictographs and carvings on the rocks, but similar devices on the mound pottery and other objects, among which are the curious gorgets of shell bearing engraved representations of spiders with the symbol of the cross on their backs. 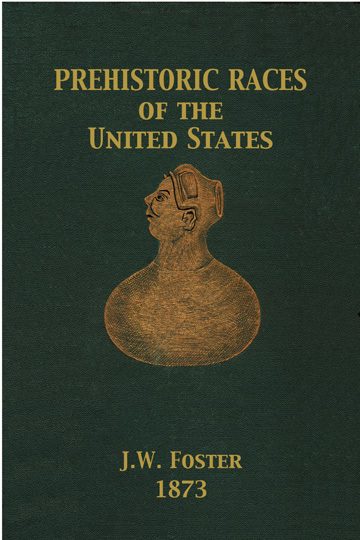 With the exception of a few of the fine engravings used by permission from Mr. Conant’s work, and a few cuts of emblematic mounds, by permission of the editor of the American Antiquarian , the most of these illustrations are new, and made from objects either in my own collection or the collections of friends. We believe these pictographs have all important bearing on the study of our archaeology, and may aid in throwing some light on the origin of the races that have been inhabitants of this continent. 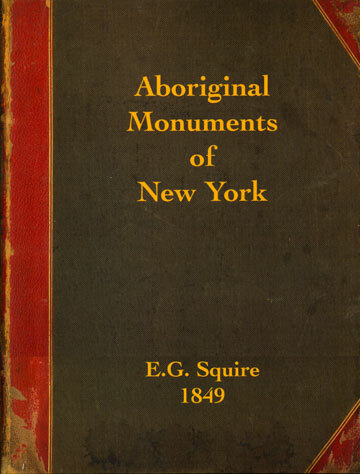 Quite probably our Mound-Builders left no written history; but that fragments exist here and there that exhibit rude attempts to record something, we believe we will show to the reader of this little book. Softcover, 120 pages, illustrated. What if our history books are wrong and Columbus wasn’t the first European to set foot in North America? The Graves of the Golden Bear will challenge some of your core historical beliefs. From the earliest maps of the Gulf of Mexico by the Spanish explorers to the beginning of the 20th century, claims were made that other cultures brought thousands of colonists to North America centuries before Columbus. Using colonial era maps, satellite imaging, historical accounts, historical documents, and archeological reports, author Rick Osmon explored sites of more than forty-five ancient fortresses that were already centuries old when Columbus “discovered” North America in 1492. •What really happened to Rome’s Ninth Legion after disappearing from England in 117A.D.? 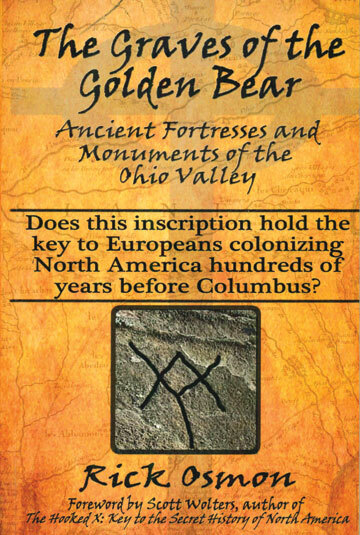 •The cover-up that led to the destruction of many ancient fortresses in the Ohio Valley? •The story of a Welsh Prince credited with landfall at Mobile, Alabama? •A coded 1718 French map and its impact on Thomas Jefferson and the Lewis and Clark Expedition? Softcover, 6X9, illustrated, 264 pages, FREE s&h. ﻿﻿• While digging out a new basement near Los An geles, homeowners accidentally unearth a 3,000-year-old Phoenician altar. •A treasure-hunter in Ohio finds more than he expected, when his metal detector locates an Eastern Mediterranean pendant from 1000 BC. •Two caches of coins minted in Imperial Rome surface along the Ohio River. •A Smithsonian Institution archaeologist excavating a Native American burial mound in Tennessee removes a stone emblazoned with a second century Hebrew inscription. 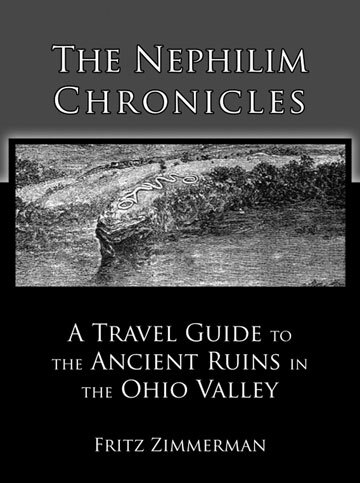 ﻿William Conner has continued the legacy of the late Arlington Mallery (author of Lost America), investigating the strange iron furnaces of southern Ohio and other regions, and following the clues that suggest that these are pre-Columbian sites that indicate the presence of Old World visitors. Conner relates both the problems that researchers in the past encountered (and caused), and the intriguing discoveries that continue to lure researchers in anomalous archaeology. Softcover: 294 pages, 7.5x9.2. ﻿A profusion of plants brought from Asia and Africa, thousands of years ago, still flourishing across the U.S. Underwater ruins recently found off the coast of Oregon. Bronze Age oil wells in Pennsylvania, etc., etc. 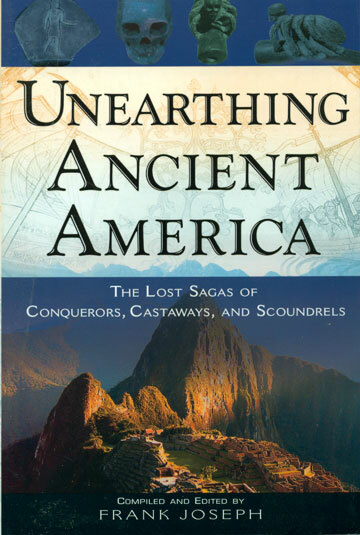 "Twenty scholars present irrefutable evidence that the Americas were, indeed, influenced by fearless visitors from across the oceans long before Columbus went in search of new passages for Spain." Brad Steiger. Copies signed by the author. 288 pages; forty photos and illustrations. $22.00 (includes postage). ﻿New in 2018! 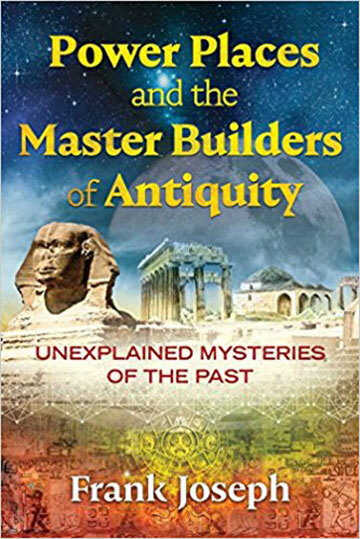 Investigates archaeological sites in Ancient Egypt, China, and Europe, as they compare with Ohio’s Mound City, giant-built constructions in Illinois, Indiana’s Angel Mounds, and other pre-Columbian locations. Copies signed by the author. 307 pages; sixty photos and illustrations. $22.00 (includes postage). Copies signed by the author. 328 pages; fifty photos and illustrations. $24.00 (includes postage). ﻿An Egyptian temple accidentally unearthed by Tennessee Valley Authority workers, in 1935. A beautifully crafted metal plate with the image of a Phoenician woman in the Utah desert. Viking houses and wharves excavated outside of Boston. These enigmas are a tiny fraction of the abundant physical proof for Old World visitors to our continent many hundreds and thousands of years ago. Copies signed by the author. 320 pages; fifty photos and illustrations. $22.00 (includes postage).